Selfishness. It’s such an unattractive character quality, right?! I’ve always thought most men are pretty selfish, and perhaps many are. However, God’s been convicting me of my own selfishness! Ugh. It can be a very subtle thing for women. In fact, selfishness is often found in a woman’s thought-life. She may think things like this: My husband should be more romantic toward me. How can I convince my husband that my way is right? My husband isn’t really making me happy anymore. I married him because he’s supposed to make me happy! And the thoughts go on and on. 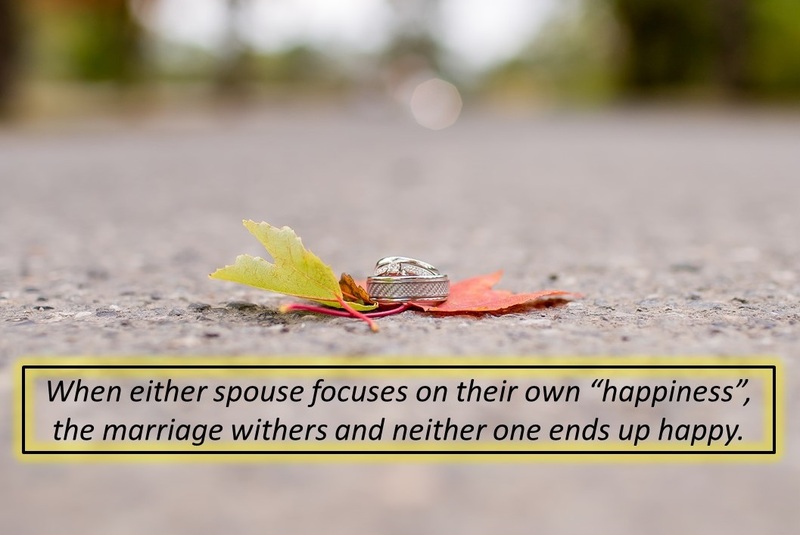 I’m becoming convicted neither wives nor husbands will find much joy in marriage when we only look out for what we want and what we think will make us “happy”. Actually, true joy comes from serving others and thinking of how we can bless them. It is so counter-intuitive! However, it is also so Biblical. Philippians 2:3-4 says “Do nothing out of selfish ambition or vain conceit, but in humility consider others better than yourself. Each of you should look not only to his own interests but also to the interests of others.” Maybe you should try to look at life from your husband’s perspective this week and really try to understand his point of view during disagreements. Maybe you could intentionally build him up each day and voice your appreciation for big and small things he does. How could you bless him this week? P.S. I know some of you are thinking, “Why should I be the only one doing this? What about my husband?” Well, how about if you clean up your side of the street first? I have a strong hunch that your entire marriage will improve and your husband’s heart will be drawn to you. Are you willing to give it a try? ← Does your marriage need this medicine?